No, I am not quitting the blog, although it has been been pretty hectic and thus the lack of posts lately. For that I apologize. However, this is more about the end of the year and the fact that all things must come to an end, but there is also always a renewal at the same time. Throughout my life I have found that no matter what happens in my life when something ends there is always something new that is starting at the same time. Sometimes that new thing is exciting and sometimes it is not that great. But all things are only for a season and the tough ones will pass eventually. At this point in my life nothing is changing except the date but I am sure that it will only be a short time before something changes. In the meantime I would like to thank my family for being the strange cast of characters that is always supportive and entertaining all at the same time, and my wife for the patience and love that she exhibits every day. To you, my readers, thank you for for spending the year with me as we journeyed the the thing we call life. Glad you are going to continue. Enjoy your blog. 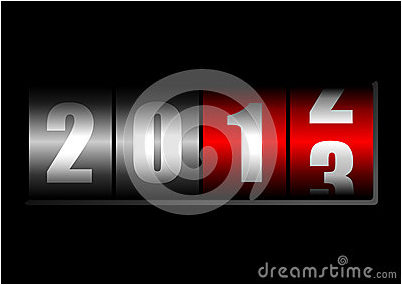 2013 is going to be a lucky year for all. A phrase I would love to hear again.